UNITED NATIONS, February 8. /TASS/. 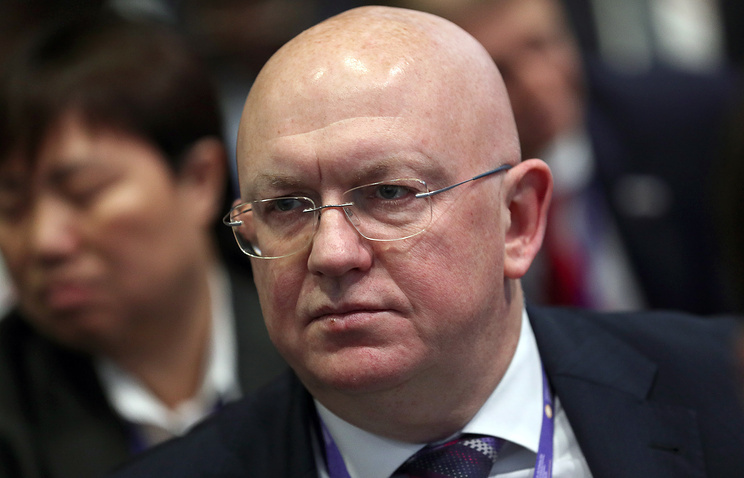 The first ten years of Kosovo’s self-proclaimed independence have yielded "deplorable results," Russian Permanent Representative to the United Nations Vasily Nebenzya said on Wednesday at a meeting of the United Nations Security Council. According to the Russian diplomat, attempts to create in Kosovo "a self-sufficient political systems with pretense for a democratic law-ruled state" have proved to be futile," with serious problems still requiring urgent resolution. He recalled that ten years ago Russia has initiated a United Nations Security Council meeting in response to Kosovo’s unilateral declaration of independence. "Back then, we warned about deplorable consequences of such step for both the situation in the republic and for regional security in general. And now it is absolutely evident that those who had invented and implemented the Kosovo project must reflect on the results of this reckless undertaking," Nebenzya said. In his words, Pristina’s hopes that Kosovo’s independence would be recognized by more states "have proved futile." On the contrary, countries are waiving their earlier decisions to recognize it. Moreover, Pristina has been denied membership in a number of international organizations. On top of that, according to Nebenzya, no economic boom has happened in Kosovo and it "is still the most troubled territory in the region." The Russian diplomat pointed to the "serious conflict potential" in Kosovo, where "any incident may trigger an outbreak of violence." He stressed that Kosovo "is a zone of comfort for recruiters of radicals," with terrorists coming there from Syria and Iraq. Touching on the recent murder of Serbian politician Oliver Ivanovic, the Russian diplomat noted that Pristina seemed to be trying to conceal circumstance of this crime. He also noted the lack of progress in the probe into the crimes committed by the Kosovo Liberation Army. "There are many other things that indicate the deplorable situation in Kosovo," he said, adding that such things include decreasing numbers of refugees returning home, ongoing attacks on the houses and properties of Kosovo Serbs, arsons, material damages and vandalism, attempts to seize property of the Serbian Orthodox Church. "These are the deplorable results of the ten years of Kosovo’s independence," Nebenzya stressed. The Russian diplomat called on the international community in the person of the UN Security Council and the UN mission in Kosovo "to keep a close eye" on the situation in the region and take active steps to promote stability there. In his words, the idea of Western countries to abandon the practice of quarterly UN Security Council meetings on Kosovo is absolutely inappropriate and untimely. The topic of the United Nations mission in Kosovo was in focus of the Security Council meeting. Kosovo’s representative, Vlora Citaku, called to find another way to spend "taxpayers’ money," while Serbian Foreign Minister Ivica Dacic demanded international presence be continued in Kosovo. The meeting demonstrated that the Security Council stays split on that matter. US Permanent Representative Nikki Haley said that after deployment of the UN mission the situation had changed dramatically and called on the Security Council to waste no time and look at the expediency of extending the mission’s mandate. This point of view was shared by the United Kingdom and France, while Kazakhstan and China spoke in favor extending the mission’s mandate.